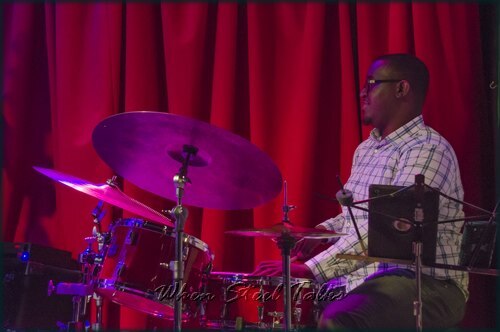 Michael Piolet majored in Studio Music and Jazz Instrumental Performance at the University of Miami Frost School of Music where he was a Stamps Distinguished Ensemble Scholar and a member of the inaugural Stamps Jazz Quintet, Class of 2013. He studied drumset and jazz percussion privately with Steve Rucker and John Yarling. As a member of the Stamps Jazz Quintet at the Frost School of Music, he performed at the Monterey Next Generation Festival in California and the 2011 and 2012 JEN conferences in New Orleans and Louisville. He was also featured on the Stamps Jazz Quintet’s self-titled debut album on Summit Records. The Stamps Jazz Quintet was chosen as the “Jazz Group” winner in DownBeat magazine’s 34th Annual Student Music Awards in the Undergraduate Outstanding College Performances category (2011). Michael Piolet performed in a variety of other jazz groups at Frost, including the award-winning Frost Concert Jazz Band at the Coconut Grove Arts Festival in Florida with flautist Nestor Torres and at Festival Miami with saxophonist Dave Liebman, both in 2012. Originally from Chicago, Illinois, Piolet is regularly performed with local artists throughout South Florida when attending the University of Miami and he often returned to Chicago to perform professionally. He has performed extensively with steel pan virtuoso Leon Foster Thomas. In 2018, he moved to New York City, where he joined the touring company of Hamilton.